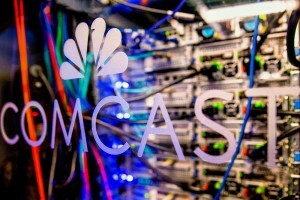 Comcast and NBCUniversal this week filled in some of the details on their plans for a primarily free-to-view OTT TV service that will target Comcast cable subscribers in the US and Sky customers in Europe, with an SVOD variant available to non-subscribers very much seen as a sideshow. Speaking on Comcast’s full-year earnings call – the first quarterly call since its acquisition of Sky – NBCUniversal CEO Steve Burke said that the group would however continue to distribute its content to other platforms rather than retain it for exclusive use on its own OTT TV service. NBCUniversal’s approach to streaming stands in contrast with that of Disney and WarnerMedia. Disney is set on retaining exclusive rights to key content for the Disney+ service, while WarnerMedia plans to offer a three-tier service including a premium offering with original series and blockbuster movies. For NBCUniversal, the continued sale of premium content to third-party partners is a lucrative business that it will not give up lightly. On the Comcast analyst call, Burke said that the OTT TV service would be “a brand new buyer” for NBCUniversal content but that the company would continue to “work with the best people”. Speaking at NATPE this week, NBC Entertainment co-chairmen George Cheeks and Paul Telegdy also made the point that “Netflix-chasing is not a strategy” and argued that the company’s approach to streaming would require a “reinvention” of windowing. “We will look at every original production and every licensed show that cycles off and decide where it belongs. It might be that it belongs exclusively within our ecosystem or it might be that it belongs exclusively on an outside ecosystem or there might be an in-between,” said Cheeks. Underpinning all this is a sense, made explicit by Burke in the earnings call, that NBCUniversal’s content is currently underexploited in the digital world. Does NBCUniversal’s self-styled “nuanced” approach and Viacom’s focus on niche SVOD services alongside a ‘digital studio’ that makes content for all digital platforms make more or less sense than Disney and WarnerMedia’s more bullish plans to take on Netflix? Characterising the various studios’ efforts in this area in such a way may be crude, but it does seem that two distinct strains of streaming strategy. NBCUniversal believes that it will be much easier to “scale” the group’s OTT platform by focusing on free distribution to pay TV subscribers – not only Comcast’s but those of other operators too. Disney, with its plans to distribute Jon Favreau’s high-profile Star Wars series and other originals as well as retaining exclusive rights to valuable library content seems like a more high-risk approach, even though the proposition is much clearer. The major problem facing Disney is that it is late to the play. Ovum analyst Tony Gunnarsson says that “it will take years to become a major player in the oversaturated US streaming market”. Gunnarsson predict that Disney+ is likely to capture less than a 2% share of that market this year “and for that to happen, Disney must acquire three million subscribers in just six months, a formidable challenge”. Countering that, there have long been plenty of voices that predict doom for Netflix as it ceases to be the only game in streaming town. Netflix’s latest numbers, released last week, delivered a paltry 1.5 million subscriber additions in the US, much less than expected, but much higher growth internationally, where the streamer racked up 7.3 million net adds. The other big player in streaming is of course Amazon, which is spending money not only on original drama but on live sports rights and is making linear channels a key part of its offering. Amazon is also now succeeding in striking deals with platform operators that have hitherto been wary of it, seeing its strategy as much more directly competitive than that of Netflix. The temptation for content owners is to maximise the value of assets by selling rights for an immediate return. But there is a danger here. Divisions of opinion about whether vertical integration of content and platform makes more sense than a more open approach are not new. The big difference now – exemplified by Amazon perhaps even more than by Netflix – is big data. Distributing content to a platform with global scale and awesome power to build, digest and use data gives the latter the ability to use its platform to see what works with audiences. It can the spend money buying up the talent that previously worked for its suppliers and make the content itself. In this context, the approach of a Disney – which will retain control of its own data as well as its own content – begins to make more sense. In a world where data is king, retaining control of your distribution platform becomes an imperative.